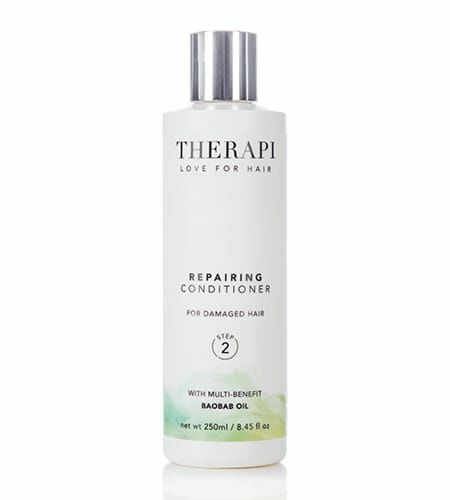 THERAPI Repairing Conditioner, enriched with Baobab Oil, targets heat damaged and chemically processed hair to strengthen, repair and add shine. 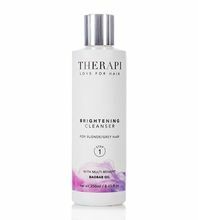 The perfect partner to follow the THERAPI Signature Cleanser. 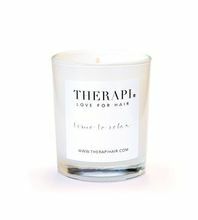 Apply to wet hair and massage into a rich lather for 1-2 minutes, leave in for a further 1-2 minutes then rinse thoroughly and repeat if desired. 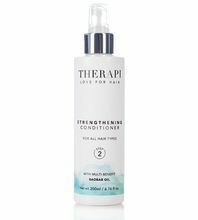 For salon results, choose from the THERAPI Step 3 styling product range. Aqua (Water), Cetearyl Alcohol, Cetrimonium Chloride, Parfum (Fragrance), Hydroxypropyl Guar Hydroxypropyltrimonium Chloride, Benzyl Alcohol, Cyclopentasiloxane, Cetyl Alcohol, Hydroxyethylcellulose, Polyquaternium-22, Phenoxyethanol, Behentrimonium Methosulfate, Disodium EDTA, Butylene Glycol, C10-40 Isoalkylamidopropylethyldimonium Ethosulfate, Dimethiconol, Hexyl Cinnamal, Benzotriazolyl Dodecyl p-Cresol, Adansonia Digitata (Baobab) Seed Oil, Hydrolyzed Vegetable Protein PG-Propyl Silanetriol, Dehydroacetic Acid, Helianthus Annuus (Sunflower) Seed Extract, Sodium Stearate, Coumarin, Linalool, Limonene, Citronellol, Potassium Sorbate, Glyceryl Stearate SE.